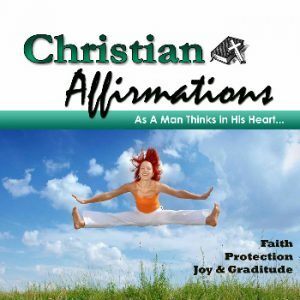 Faith, Joy, and protection affirmations can turn your thoughts of fear to faith. Each recording includes an introduction, optional relaxation exercise, and three sets of affirmations and scriptures read to uplifting music. Play affirmations while driving, working, cleaning, and relaxing. In God presence is fullness of joy. Though sadness may endure for a time, joy comes in the morning. We are to walk by faith and not by sight, but sometimes our faith gets weak and we begin to doubt God’s promises. God rewards those who walk by faith, build it today. I have faith that moves mountains. I believe I will receive whatever I pray for. God rewards me because I faithfully seek him. Plagued with thoughts or feelings of injury or harm? God has given us many promises for protection and safety. Fill your mind with scriptures and affirmations that will build your trust in God as protector. No weapon formed against me or those I love shall prosper. God who watches over me, never sleeps. The Lord is my helper: I will not be afraid.